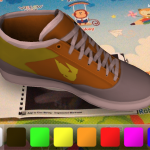 Create a .tar archive to upload to Ausrasma Studio made up of .dae (Exported from Blender 2.62), .png (Texture) and a .png thumbnail (256 x 256). 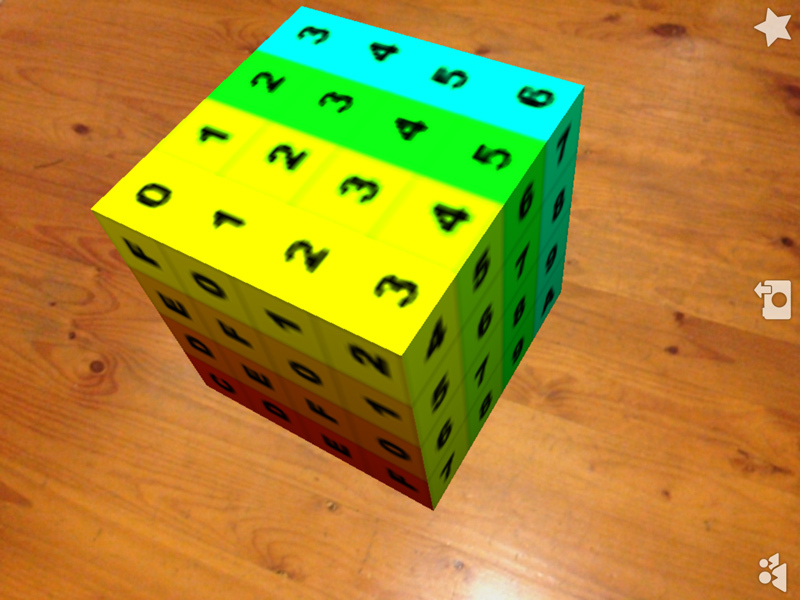 This video is an example of a simple 3D cube augment produced with Blender 2.62 and Aurasma Studio. 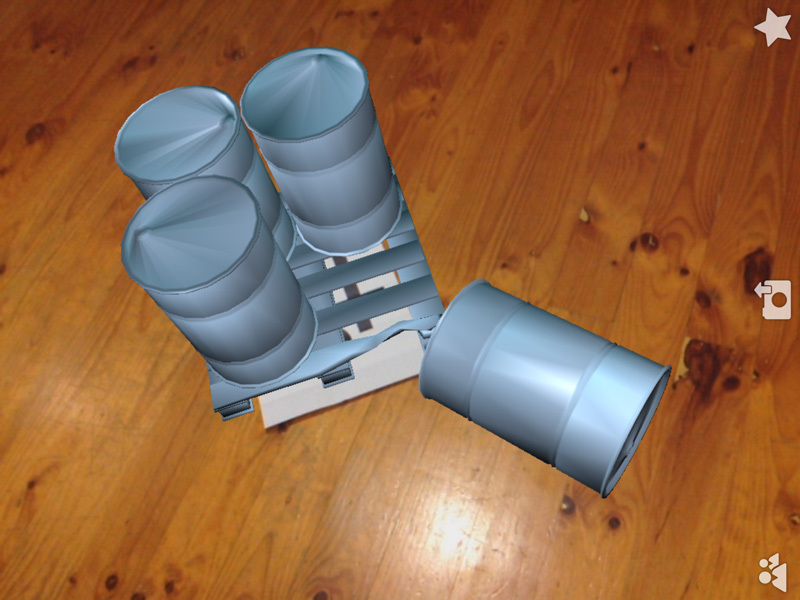 The 3D object used in this augment has been reduced in scale to enable the object to be viewed within the constraints of a marker-based augment. As part of my VET Development Centre Specialist Scholarship I’m in the process of developing my practical skills in designing and building augmented reality learning experiences. One of the experiences I’m currently prototyping is a workplace hazard identification activity. This has brought about an interesting challenge. I’m currently grappling with the challenge of using markers placed on the floor to trigger and then engage with an augment containing a 3D object modelled to scale. 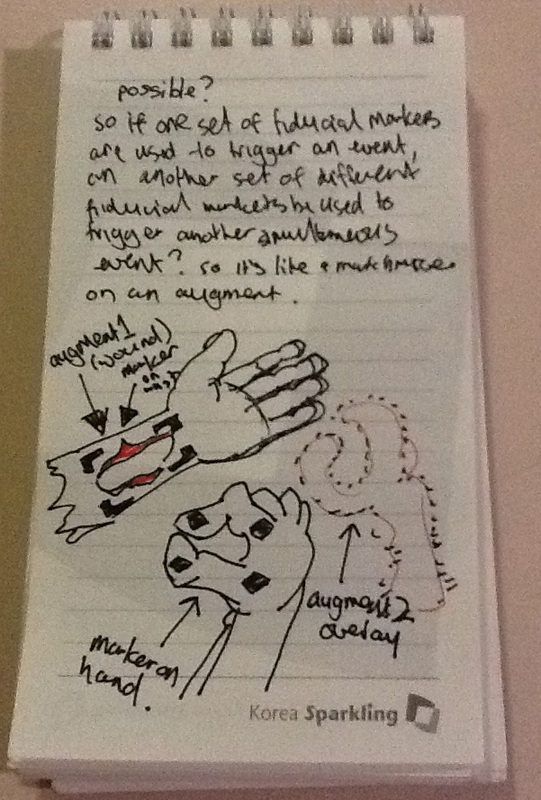 A marker needs to be in view and recognisable at all times for the augment to work. 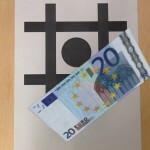 An augment containing a 3D object not modelled to scale can be easily triggered and engaged with by a marker placed on the floor as the marker will most likely remain in view and recognisable at all times. 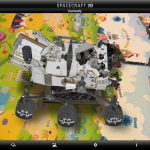 An augment containing a 3D object modelled to scale can also be easily triggered by a marker placed on the floor. 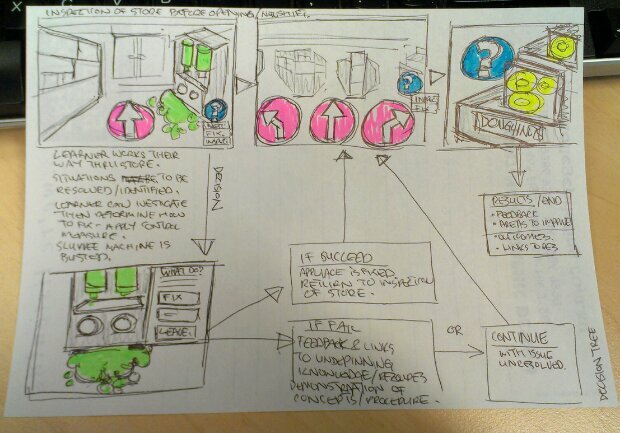 The user then needs to move away from the marker to engage with the augment. As the user moves away from the marker it no longer remains in view and recognisable. This means the augment will fail. 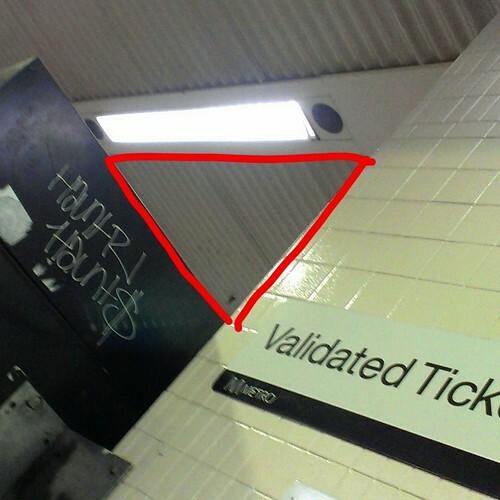 In this example, a simple augment of an industrial workplace scene is triggered by the marker. The industrial workplace scene has been reduced in size and is no longer suitable. Increase the size of the marker or place the marker on a wall to ensure the marker remains in view and recognisable at all times. Increasing the marker could be a solution, but then a specialist printer may be required instead of a standard domestic or office printer. Placing the marker on the wall could be a solution, but only if the experience was thematically relevant. A marker placed on wall could also be used to trigger an augment on the floor. This could also work, but would require strict placement to ensure the augment is placed in an accurate position on the floor relative to the marker and not floating in the air or buried in the floor. 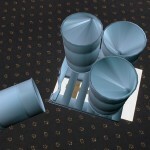 Another possible solution could also be to trigger the augment containing the 3D object modelled to scale based on location. This solution could work if the designated location for the augment was outside or if the location could be accurately determined when indoors. Prototyping a formative hazard identification activity. Aurasma’s advanced image recognition technology can sometimes get a little confused! 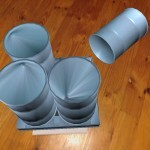 Remember the Simple SketchUp Models? 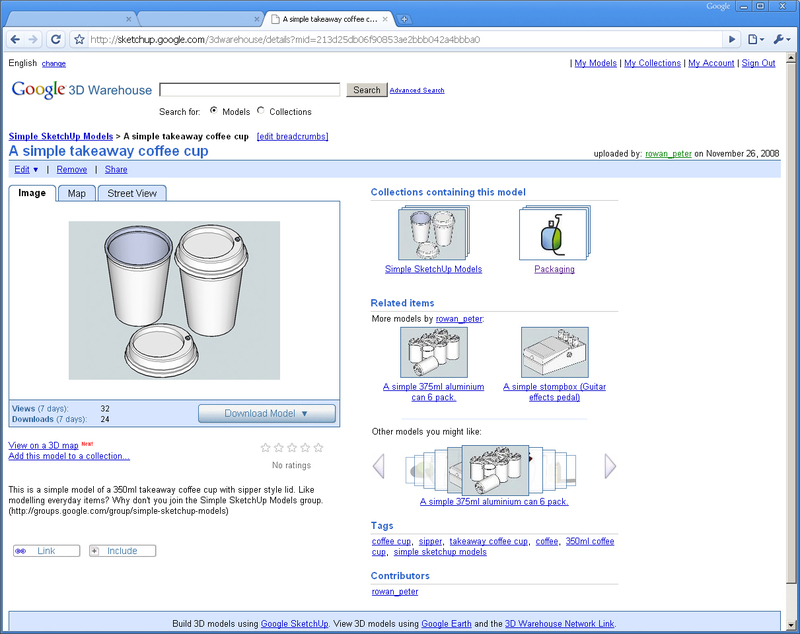 Remember Simple SketchUp Models back when it was the Google 3D Warehouse? My favourite simple model was the 350 ml takeaway coffee cup with sipper style lid. Since 2008, the simple takeaway coffee cup has been viewed and downloaded a few times. I hope people found it useful. 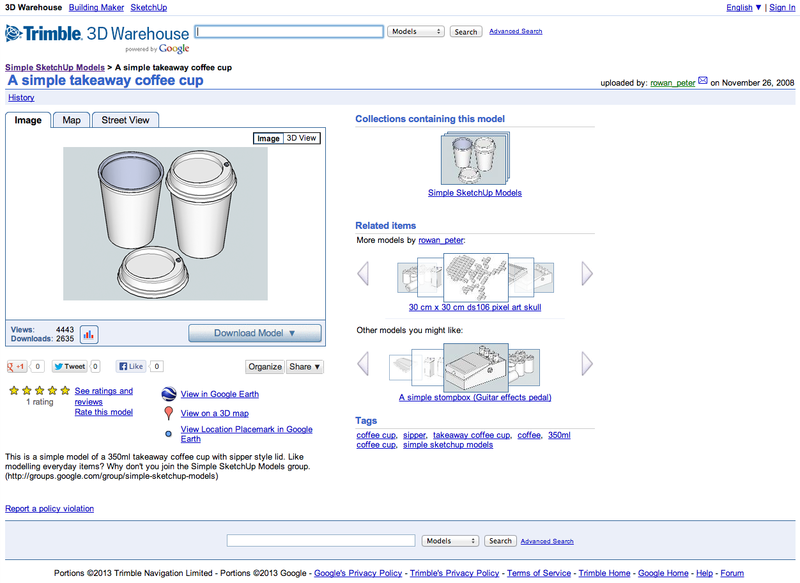 In 2009, the simple takeaway coffee cup model had been viewed and downloaded a few times. It had also been included in the Packaging Collection in the Google 3D Warehouse. In 2013, the simple takeaway coffee cup model has been viewed 4443 times and downloaded 2635 times. It’s no longer part of the Packaging Collection in the Trimble 3D Warehouse. Your device does not support this type of Aura. 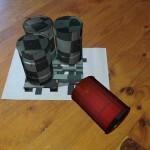 Testing a marker-based 3D augment with my mobile phone. 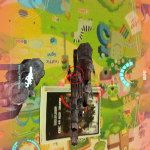 Pity my phone doesn’t have the resources to manage a 3D augment. If it did, it would’ve appeared in Aurasma’s list of supported devices. Shape accident – Triangle, a photo by Rowan Peter on Flickr. Inspired by Adam Lemmo’s investigation into roadside shape recognition and shape accidents. 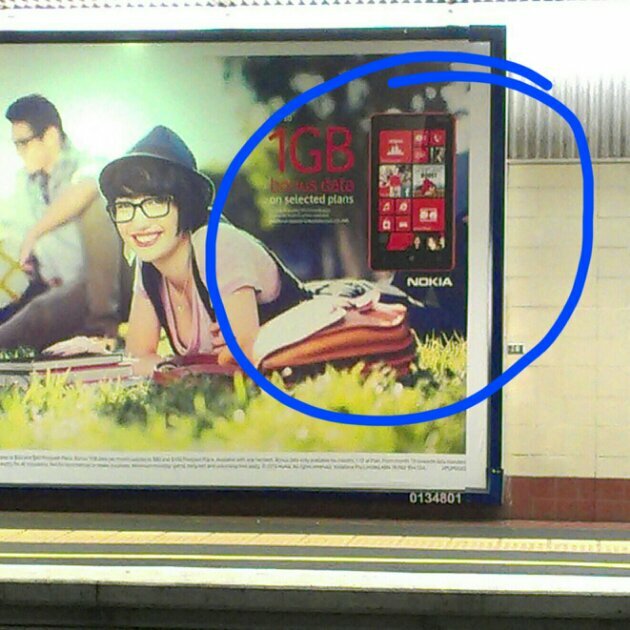 Telco advertising at the local train station featuring new NOKIA smartphone with flat UI design. White on cherry-red. Nice. This year I was fortunate enough to be granted a VET Development Centre Specialist Scholarship. Specialist Scholarships are available to non-teaching staff who wish to develop their skills, capability and professional standing within the VET system. Among the services provided by specialist staff are student support, student administration, human resources, learning design, records management, purchasing, learning resources, information technology, occupational health and safety and financial management. The Specialist Scholarship Program focuses on the professional development of non-teaching staff in the context of high level administrative and specialist tasks required of them by internal and external stakeholders. How am I using my scholarship? 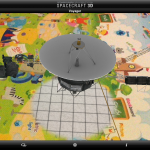 I’m using my Specialist Scholarship to attend the AR Studio Augmented Reality Camp (ARCamp) at the Inspire Centre, Canberra in May 2013. 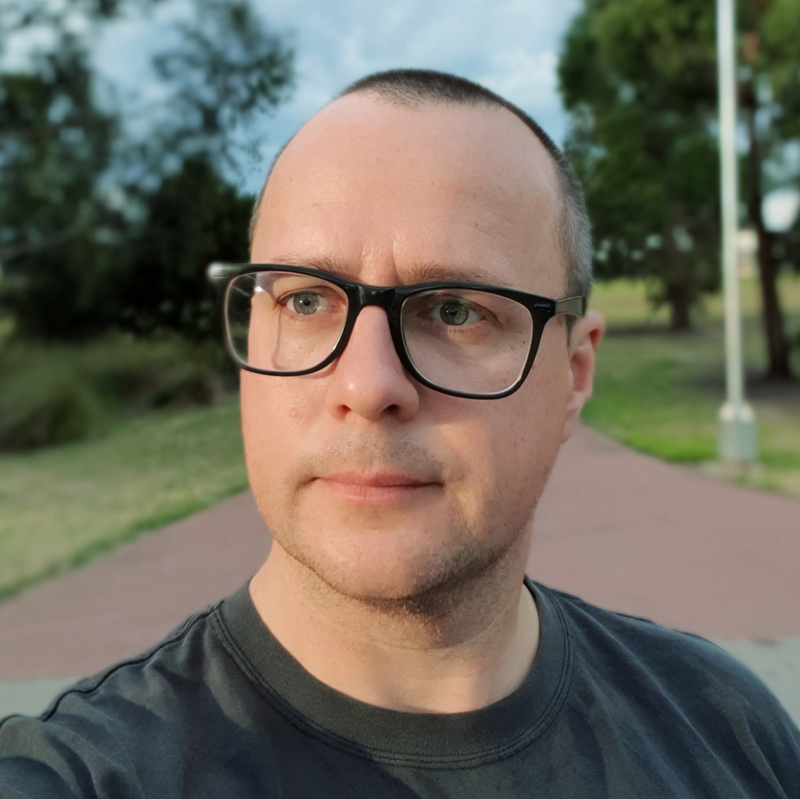 Attending ARCamp will give me the opportunity to develop my practical skills in designing and building augmented reality learning experiences; access to technology, equipment and expertise to prototype augmented reality concepts and evaluate augmented reality as a technology and then determine how it can be best applied to new and existing learning contexts. 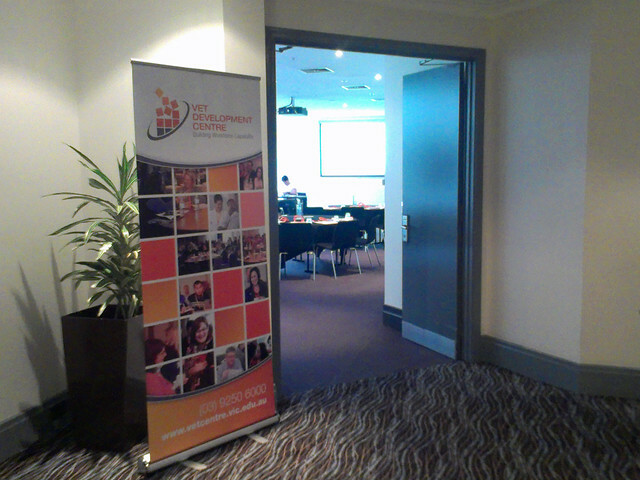 By the completion of my scholarship in late 2013, my goal is to have developed a number of marker-based and location-based augmented reality experiences that can be used and then customised by trainers and learners inside the institute and those outside in the wider vocational education community. My goal is to develop these augmented reality experiences in conjunction with enthusiastic teaching staff and teaching centres to make sure the augmented experience accurately represents real workplace activities. The types of real workplace activities I’m currently exploring for augmented reality experiences include hazard/risk identification in the workplace, apply control measures to a hazard/risk in the workplace and fire drill training. 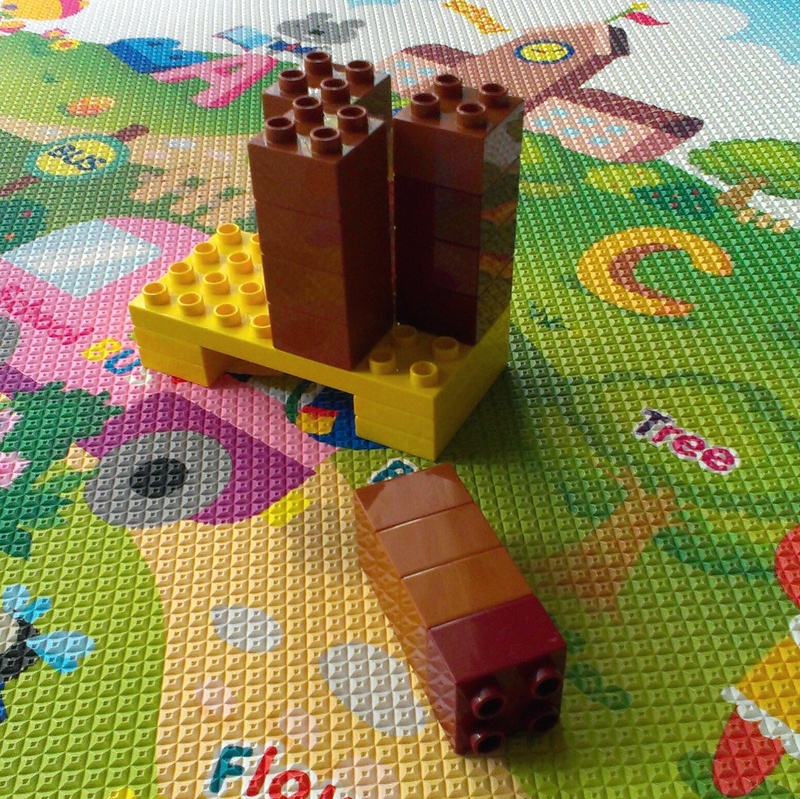 A risk/hazard identification AR experience previsualised with Duplo. 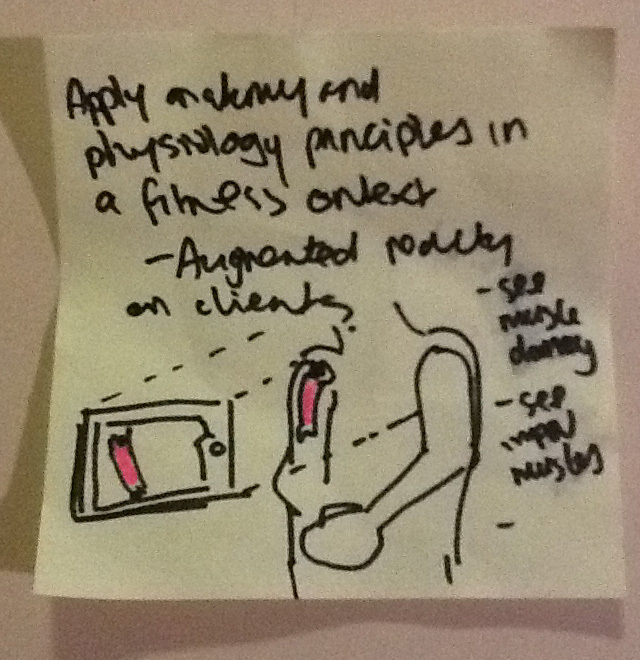 Recently, I’ve been researching tools that I can use to develop my augmented experiences. 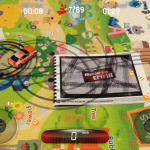 For the moment, I’ve decided to use Aurasma to create my marker-based experiences and Layar to create my location based experiences. 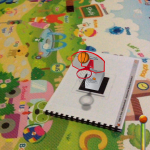 During this time I’ve also been using my iPad and a booklet of AR markers on loan from a colleague to explore a number of different marker-based AR experiences. Drift your way around the course. Take part in a movie tie-in. My friend @timmmmyboy had a problem with his inbox. I tried to do something about it. 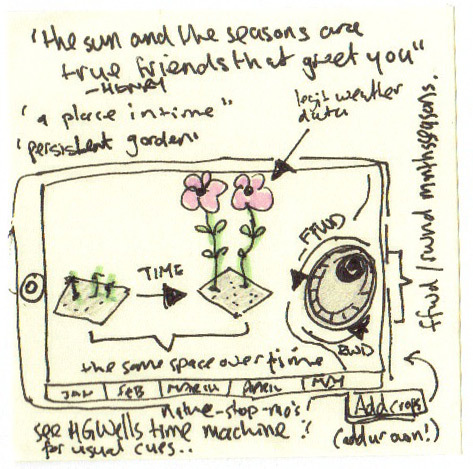 A virtual garden augment that responds to real location-based climate data that can also be grown anywhere. Learn about anatomy and physiology – potential for diseases etc to be introduced and placed on the casualty over time. 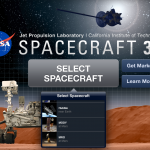 Multiple markers are used to control/interact directly with objects in scene.